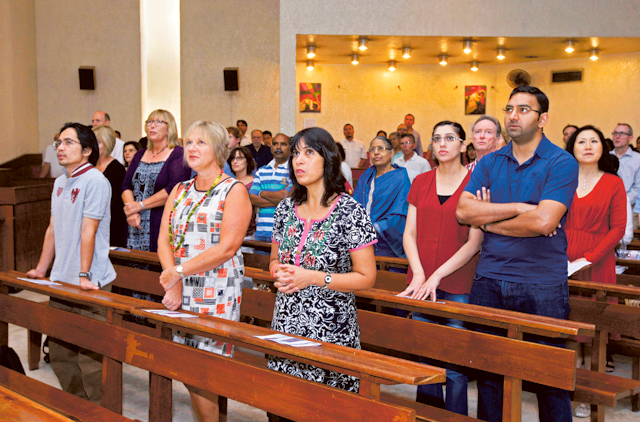 Abu Dhabi: ‘In many ways it’s easier being a Christian here than it is back in the United Kingdom,” says Reverend Andrew Thompson (MBE), the senior pastor at Abu Dhabi’s St Andrew’s Church. The large Christian expatriate community in Abu Dhabi bears this out, as does the multitude of churches across the country. St Andrew’s Church, built in Abu Dhabi in 1984, has a congregation of 15,000 worshippers every week. Speaking to Gulf News, Thompson said “the land was gifted to us very generously by the Al Nahyan ruling family. “We receive about 15,000 worshippers every week, we’re home to many different congregations and at the moment about 73 different churches meet here every week. These include the Church of Pakistan, the Korean Methodist Church, the Greek Orthodox Church and the Seventh Day Adventist Church, among others. 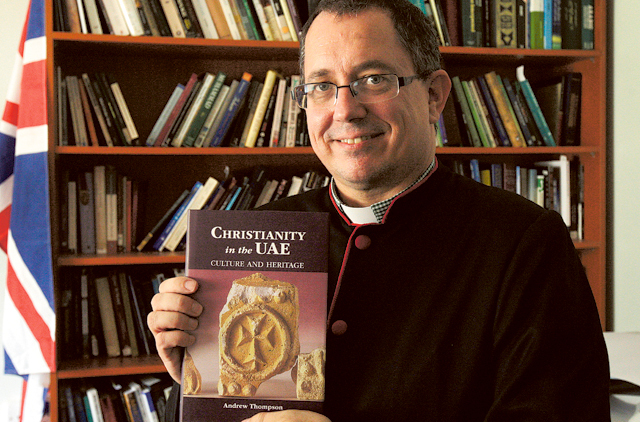 According to Thompson, who has written a book on the subject titled Christianity in the UAE: Culture and Heritage, the roots of the UAE’s tolerance towards the Christian community were planted many years ago in a friendship between Shaikh Zayed Bin Sultan Al Nahyan and Dr Pat Kennedy, a Christian missionary doctor who helped establish the first hospital in the country, the Al Ain Oasis Hospital. He added that “the government gave the land, they gave us visa-granting rights to bring in pastors and priests. They support us by attending some of our major events and we try to reciprocate by being good citizens and being supportive of national events. Another church in Abu Dhabi is the Evangelical Community Church, with roots going back to 1972. Cameron Arsensen, the serving pastor of the church, said: “The Evangelical Community Church was started in 1972 by a small group of English-speaking expatriate Christians who desired to worship and pray together. The church worshipped in a home for years before being given property by the Rulers. “The Evangelical Community Church has approximately 1,300 worshippers on a weekly basis. In addition, there are over 60 other congregations that gather weekly to worship at the Evangelical Church to worship in different languages.